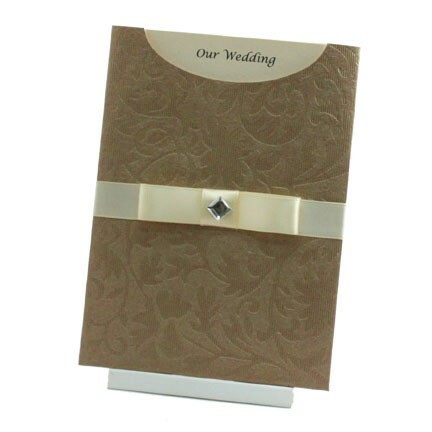 Specifically designed for wedding invitations & christening invitations but are also widely used by businesses to hold their gift vouchers etc. 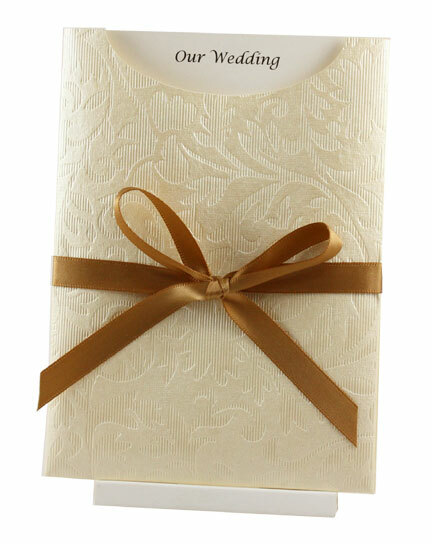 Our Glamour Pockets® make glamourous DIY Wedding Invitations Easy! 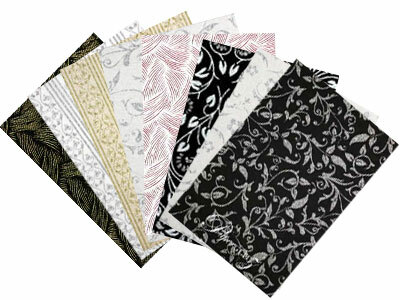 Glamour Pockets® are an original concept & design by Paperglitz. 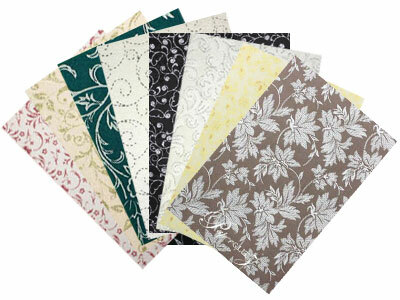 Only our genuine Glamour Pockets® are made from the highest grade recycled cotton papers and have the trademark front lip cut out that is actually large enough to have the text of your insert show through. Avoid the imitators and their poor imitations - support the innovators and make sure you ask for genuine Paperglitz C6 Glamour Pockets®! 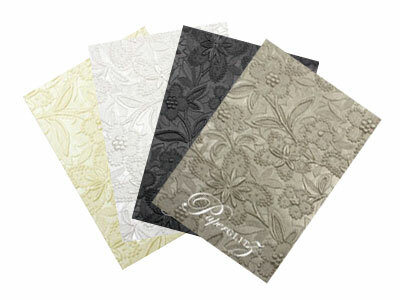 This Glamour Pocket® is also available in DL & 150x150mm square sizes. 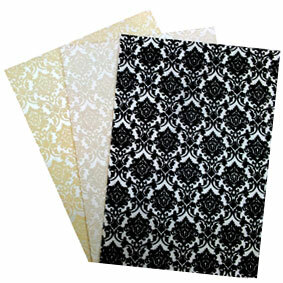 The paper is also available in Add a Pockets® A4 Sheets & Full Sizes Sheets (560x760mm). 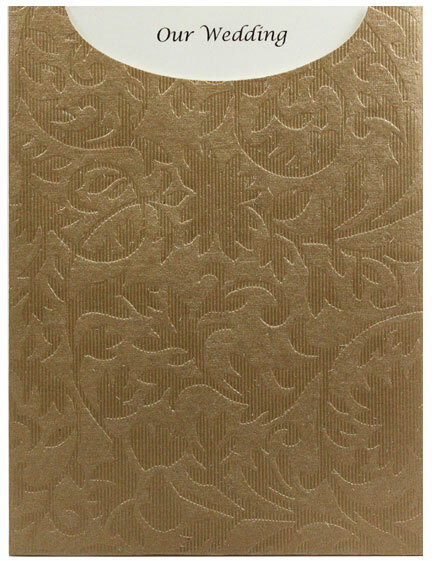 Buy with confidence and specify only "Genuine Paperglitz C6 Glamour Pockets " for your next project. 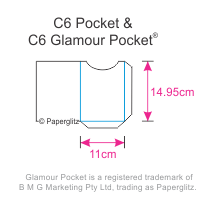 ® Glamour Pocket & Add A Pocket are a Registered Trademark of B M G Marketing Pty Ltd, trading as Paperglitz and may not be used without our prior written consent. 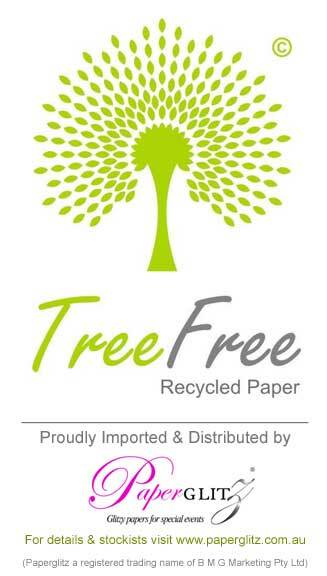 Unauthorised use is a breach of trademark and an offence under Australian & International Law.